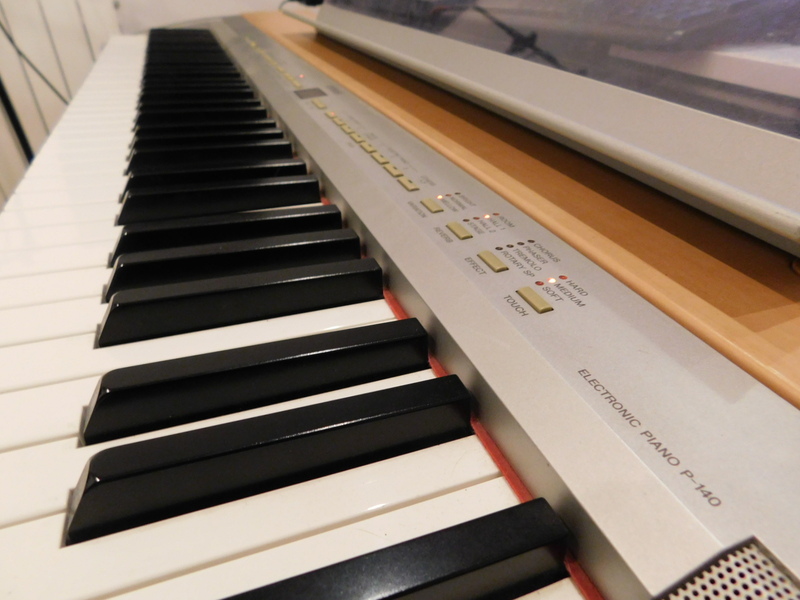 P-140, Digital Piano from Yamaha in the P series. Unlike what has sometimes t said, I find that this keyboard is not a gas plant. It is very easy to use and, of course, it does not have much range of sonorits BUT the most important are really excellent quality. For Dtail of connectivity, while adj t said. Yamaha touch, we like it or not, but anyway, it's very good. Worse than the kawa MP8 (2 times - cheap & 2fois - heavy), but a more realistic Roland in my opinion. The configuration is bone simple, I confess I do not always understand some criticism against the p140 on this point. Any fawn, No normment of choice for the price it does not have a very rich library and it will make any manipulation esprer that enable a high-end product. 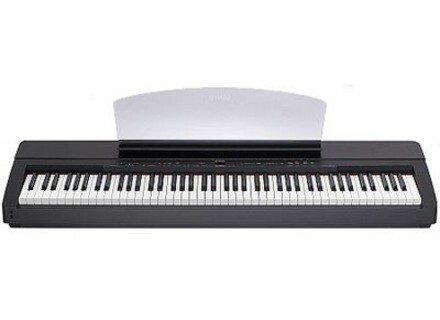 But hey, if you search a mobile digital PIANO then the p140 seems to provide the best quality price ratio. the manual is clear and complete. As a pianist, I do not m'tendrai far and wide on the other sonorits. the report sound and touch of the keyboard is very pleasant and realistic. Great possibilities of expression. In this price range I have not found better. The pianos grd 1 and 3 restaurants account for two temperaments very DIFFERENT between which I alternate depending on the mood of the moment or the song. p1 seems to me bright, crisp, sharp, emblematic of that sound mtallique yamaha we love or dteste. p3 is more round and sweet but keeps an equally great expressive ability. P2 is anecdotal. ame someone suggr (correctly) that c'tait probably a stooge for the other two. I use it for about 1 month. It is lightweight and produces a perfectly satisfactory piano in concert, I'm not ashamed, even solo. Obviously amplification 2fois 6W (which is perfectly fine for home use) Here is everything rbarbative. It is for me the best ratio quality price for a mid-range product. Heavy keyboard, touch hammer GH. Rglage on 3 levels of sensitivity of the keyboard. Sounds: 3 pianos, electric pianos 3, a classical organ, an organ jazz, a violin, a harpsichord, a clavinet, a low and mix 2 (1 piano / strings prdfini the other paramtrer ). Rglage on three levels of "brightness" of sound. No output computer (USB or otherwise). Midi in out connector, expression pedals (spoon type) supplied with the unit. Super touch, the better I think APRS tests MODELS Kawai, Casio, Roland. The one is really close to the true trs touch piano. The electric pianos are good and Varis (especially 1 and 2), the organ jazz sounds quite frankly, the clavinet is very well (but is not usable trs, at least one), the other sounds are anecdotal. on the other hand, FORGET the internal amplification of the device: it is misrable. I do not even speak in terms of power: 2x6 watts than sufficient in terms of volume. But the quality of sound is zero: no acute-it sounds "hollow" and "hollow" - a distortion and audible rsonances ds lowest level. 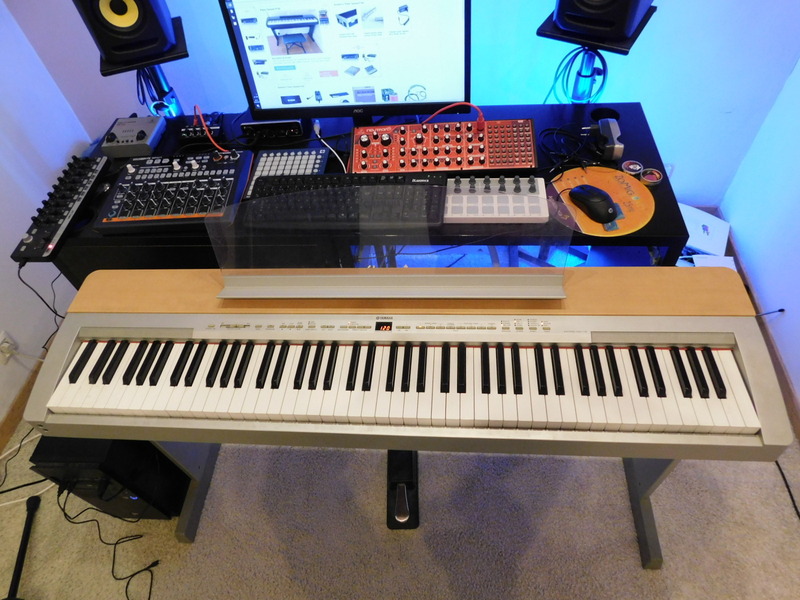 With this piano, you play with headphones, or you invest in a good Systm amplification. What a shame to associate such good samples sound so bad amplification. I possde this piano for two weeks now. I bought the shop MUSICPROMUSIC (website MUSICPROMUSIC.COM) THE RAINCY -93 -. After three days of use, the joy had left a deep place dception, due the poor amplification and complexity of using the Yamaha P140. I wanted to change it after 6 days (10 hours of use and any break through supplment) against a P120, m'tais I realized (too late) that the amplification and the ease User taient much suprieurs. Tlphonique call the shop, and ... nothing. First sentence of my contact APRS exhibitions of my case, "Sir, we do not force you to buy" and "we do not practice meets or drawback in your case since you bought the piano in our shop and not mail order. " "If you are not satisfied with the sound, you can buy a system that amplified speaker." You understand the business sense in this shop o is practiced, for the unfortunate customers who shop in dplacent, the "satisfied or not ..." (word to the wise, all the time o Other AREMUS, PLAYBACK, MILONGA (etc. ..) practice "money remboursquot;, even outside VPC for those with physical stores). 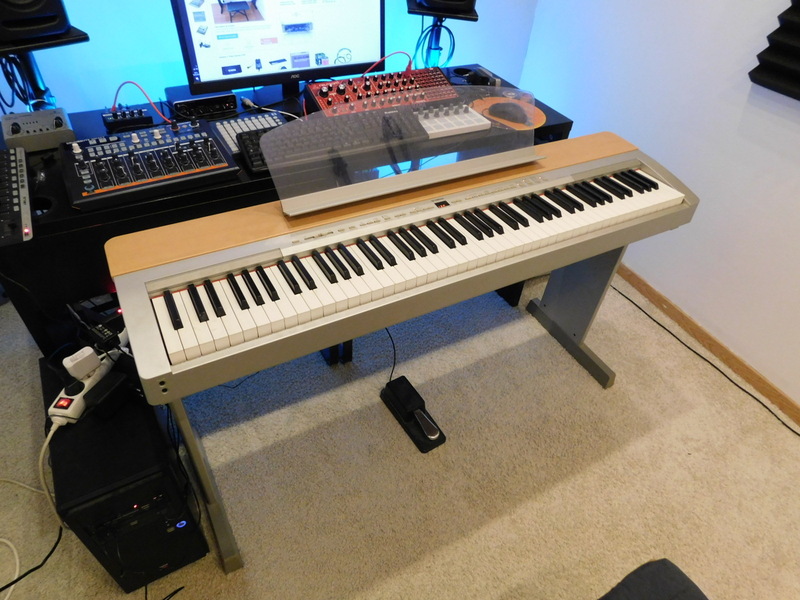 I think the Yamaha P140 is really Designed as a P120 at a discount. It is pretty trs (unfortunately this has reflected in my choice), but the amplification and complexity of use are rdhibitoires. For information, if you are looking for a good piano sound, take the plutt P60: amplification sounds much better. For cons, the headphone, the P140 is better and more varied in its sound. I prefer not to go too into detail because I do not have the gear directly to me (I have a P120). That's what made me want to go try his successor directly in stores. What I did at length! Opinions are usually quite hard on the P140 and ... This is quite understandable! It is a device that seems "nipped in the bud" with integrated amplification of such poor quality. Like the P120, the only good sound that inhabits is the Grand Piano 1. Other sounds are gadgets. As for the Grand Piano 1, we guess its one that really some potential, some dynamism, some life under the fingers, but that is totally disassembled by the amplification that neutralizes a lot of harmonics, especially in mediums. It is ultimately to be correct in terms of volume or loudness, so quantitatively speaking. But qualitatively, a catastrophe! The headphone, and the whole dilemma, no problem, the sound beautifully expressed, and the GH3 keyboard that allows the driver a terrible expression. 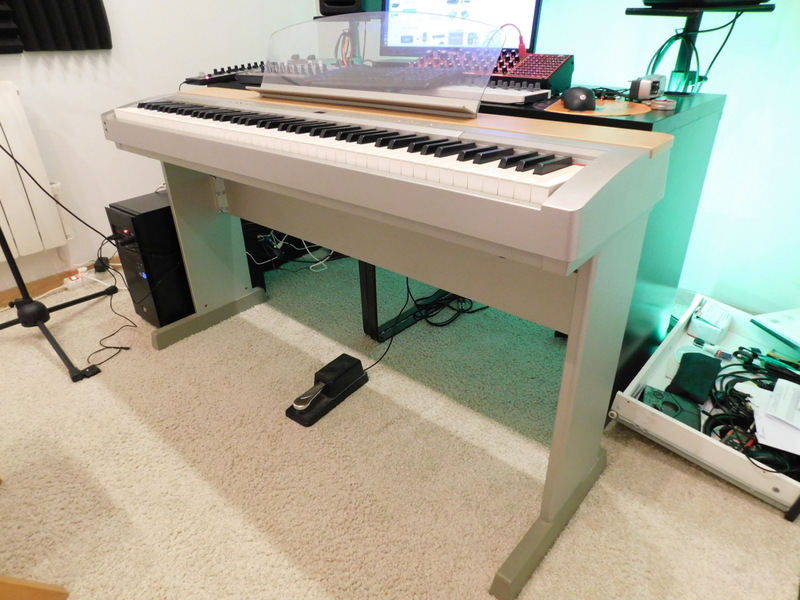 Verdict, if you're like me and you use your digital piano half the time as a real piano simple, stupid, that is, "I turn and I play with integrated amplification, without connecting and connect this or that and more, "and well it will certainly not the case. Yamaha may have set the bar too high with the P120 and would like might as well boost the sale of amplification systems annexes, but from my point of view, this causes a particular brake almost unwavering in the purchase of the instrument. Indeed, there is also a pleasure pianisitique fake on the old P60! Shame ... P120S May my life be a very long story I do not have to replace it anytime soon! First of all, I will try this product from the category to which it is addressed. I also think of the Intrets Audiofanzine, only buyers and users of products should be a review as "testers" for fourth quarter of an hour in store begin swarming in the "review" . Please guys, stop you get lost now. Well before the orchestra down sharply on this product, I will be more nuanced on this piano that I use for four months. First, it is a product of mid-range, compared concurrently its other brands, is amplified (rare in this format) even if it is not good, it gives a cot a little vintage sound and is only for the control. Indeed this kind of product is to the pianist playing the headphone flat. Its default is to use the features (a real gas plant), but this product is to the piano player. it is not really to be programmed is lit, you play. I would add that yamaha p would not implement them because 90% of buyers of such products do not use it. For a real master keyboard, go to the plutt P250. I also regret the fixed level RCA outputs (indpendant the volume fader) per against it are clean and trs trs "pchues". The touch is similar to the excellent P250, the high end. The TRS is really good. Pianos 1 and 3 samples of 5 possdent Veloci samples + a + a retention samples of relaxation of a sample of keys + soft pedal. The sound possde warmth and emotion ever seen on this type of product (it buries my p200 this level l. I think we are finally reaching the re digital pianos that sound like the real (as it was). The rhodes, dx and whurlitzer are excellent (note that the north course not either). The harpsichord is great for the rest is average but usable. Only the organ jazz is zero. A short work for piano in his apartment in the headphones. I use it on scne because it is lightweight trs, trs audio is clean and immediately usable. If you have 250 euros more to take the p120 connectivity and amplification more work. It's still a great product to buy for the mid-range piano sound first.